Avoid excessive use of hand gestures as it can cause stress to others" reads an instructional nugget, part of a chapter called Day to Day Decency in a book on etiquette and hygiene by former cop Kiran Bedi. The book, Broom & Groom, has been co-authored by Pavan Choudary, who calls himself a wisdom educator. 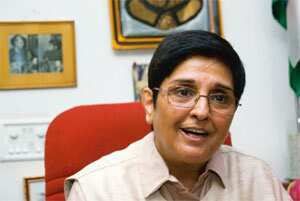 Bedi is the winner of the prestigious Ramon Magsaysay Award, the Asian equivalent of the Nobel Prize. She has authored books in the past and hosts a popular television show, Aap ki Kachehri. Choudary has authored several books and also hosts a television show on Doordarshan called Hum Aise Kyon Hain. The book has a foreword by former president A.P.J. Abdul Kalam. It is evident that Bedi, Choudary and the publisher—Anu Anand of Wisdom Village—have grand plans for the book. It has had a staggered launch since August and more city launches are in line. Wisdom Village, which specializes in “social wisdom" books, has eight regional language translations under way. The book is dedicated to the Right to Civility, with the authors declaring that they yearn for a social renaissance in civil behaviour. The authors intend for the book to trigger a national movement. 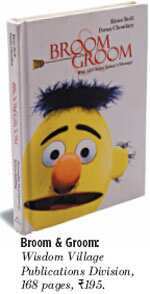 Wisdom Village plans to release new editions every year with readers’ additions via a website dedicated to the book (www. broomandgroom.in). “Interacting with foreigners" seems to be a lynchpin. Bedi doesn’t disagree. “National pride is very critical to the book," she says. “Both Pavan and I are sensitive to how we are perceived as Indians." Bedi says the book’s release was carefully timed ahead of the Commonwealth Games to enhance Indian citizens’ social and professional acceptance globally. Yet the premise of the book seems dubious. Bedi was embarrassed by fellow Indians during her extensive travels abroad. “We tend to have high decibel levels, we litter indiscriminately and we spread out our belongings in public spaces," she says. But she believes that the book can be used by citizens of any “developing country". Her co-author, Choudary, explains why people from developing countries are generally less well-mannered than their First World counterparts: Their governments haven’t invested in the education, infrastructure and legal framework that makes for a civil society. “We were extremely civilized centuries ago but lost our civility along the way. And we have multiple foreign rulers to blame for that," says Choudary over the phone, pointing out that the US had the same problem till the 1900s, till a responsible government took over. Both believe that it isn’t too late to change. But perhaps it is too big a task for a pocketbook to achieve.